*** NOTE: Click any of the headings to scroll to the appointment form at the bottom of the page. In doing so, you agree with the terms of our Policies and Procedures Consent Form. Your pet is very important to us at Head To Tail Spa (HTTPS). We would like to assure you that every effort will be made to make your pets grooming experience, as safe and as pleasant as possible. Safety comes first for everyone, people as well as pets, during the grooming process. Occasionally, grooming can expose a hidden medical problem or aggravate a current one. This can occur during or after grooming. All medical expenses for Veterinary care, due to these problems, will be covered by the animal’s owner upon reading and understanding this form and it’s policies. Although accidents are very rare, there is always a risk when working with pets. Grooming equipment is sharp, and although we use extreme caution and care in all situations, possible problems could occur including cuts, nicks, scratches, quickening of nails, etc. In most cases this can happen when a pet is wiggling or moving around. Your pet’s safety and comfort is our number one priority. In the event an accident does occur, you will be notified of the accident. If HTTPS feels it is serious, and the owner is not on-site, HTTPS will seek immediate Veterinary care for your animal. This release gives HTTPS full authorization to seek medical treatment from the nearest Veterinarian in the case of any medical emergencies while in the care of HTTPS . All Veterinarian costs and expenses will be the responsibility of the pet’s owner. Any new puppy clients being serviced in our salon must be up to date on all vaccinations. Adult/Senior dogs must be current on Rabies and Distemper. HTTPS strives to be a parasite-free salon. If your pet has any parasites they will be given a parasite bath at your expense. If you do not want them to receive a parasite bath, you can re-schedule your appointment after the problem is resolved. HTTPS has the right to refuse any services at any time. In the event that your pet is too stressed or becomes dangerous to groom, HTTPS has the right to refuse grooming services, stop grooming services, or cancel grooming services at any time before, during, or after grooming and the client will be charged a grooming fee (for what was done up until that point). Muzzling does not harm your pet and protects both the pet and the groomer. In some cases, muzzling may even calm a stressed pet, allowing the grooming process to continue. If a pet still acts in a way that is dangerous, HTTPS has the right to stop grooming services at any time and a service fee will be collected. We do not muzzle unless your pet gives us a reason to. Other methods are used to calm your pet, muzzling is a last resort. We take great care in selecting the best products and few of them ever cause reactions, but they can happen. If your dog has a reaction to a grooming product, please make us aware of it within 24hrs of the occurance. All medical expenses for Veterinary care, due to the reaction, will be covered by the animal’s owner upon reading and understanding this form and it’s policies. For the safety of the pet being groomed, as well as the professional pet groomer, it is asked that you do not interrupt the groomer during grooming. If you arrive to pick up your pet and it is still being groomed, please DO NOT talk to your pet or allow him/her to see you. Please step outside for a few moments until the groom is completed. Every effort will be made to insure your pet is groomed as safely as possible, but an excited pet can be dangerous to continue to work on. If you insist on talking to your pet or the groomer, we reserve the right to end the grooming session, even if the grooming is not completed and the full grooming price will be charged. Pets with severely matted coats require extra attention. Mats in a pet’s coat grow tight, and can ultimately damage and tear the pet’s skin, which provides a breeding ground for parasite infestations. HTTPS will not cause serious or undue stress to your pet by de matting them. Mats can be very difficult to remove, and may require the pet to be shaved. Removing a heavily matted coat can cause nicks, cuts or abrasions due to skin growths trapped in the mats. Heavy matting can also trap moisture and urine near the pet’s skin allowing mold, fungus or bacteria to grow, producing skin irritations that existed prior to the grooming process. After- effects of mat removal procedures can include itchiness, skin redness, bruising, self-inflicted irritations or abrasions and failure of the hair to grow. In some cases, pets may also exhibit brief behavioral changes. Prevention is the best defense by scheduling regular grooming appointments, every 4-6 weeks. If your pet needs to be shaved to remove matting, by signing below, you acknowledge that you agree to this procedure, and any risk. There will be an additional charge for this process: it is time consuming, and causes extra wear and tear on grooming equipment. The additional charge will be added. Because we book on an hourly basis and cancellations can leave an empty block in the schedule that could have otherwise been used by another customer; we ask that any salon cancellations are made at least 24 business hours in advance. Payment is due at time of pick-up. We accept Debit, Credit (Mastercard, Visa, American Express), Cash, and Cheque. Your satisfaction is important to us. If you are unhappy for any reason, and would like something adjusted, We will be happy to make any adjustments when you pick-up your pet from his/her appointment. Once, however, you take your pet home from the appointment, any return visits will be treated as a new appointment and client will be charged a grooming fee of some kind. This release authorizes HTTPS to take photos of your pet for client file and for company website and Facebook page. All photos taken are the property of HTTPS. 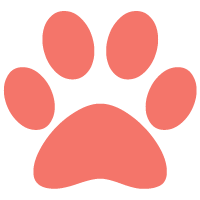 HTTPS reserves the right to take the required time needed to groom each pet on a realistic time schedule, and will arrange an appropriate pickup time with the owner individually on a case to case basis. HTTPS is not responsible for any lost or stolen items of your pets while they are at our spa. I have reviewed this Service Contract for accuracy and understand the contents of this contract. I affirm that I am the rightful legal owner of the cat(s) or dog(s) for which services are being rendered. I authorize this signed contract to be valid approval for future grooming services, permitting HTTPS to accept telephone reservations or emails for service without additional signed contracts or written authorization. I understand that pricing is subject to change. By continuing to our online booking system, you maintain that you have read, and agreed to the above consent form. 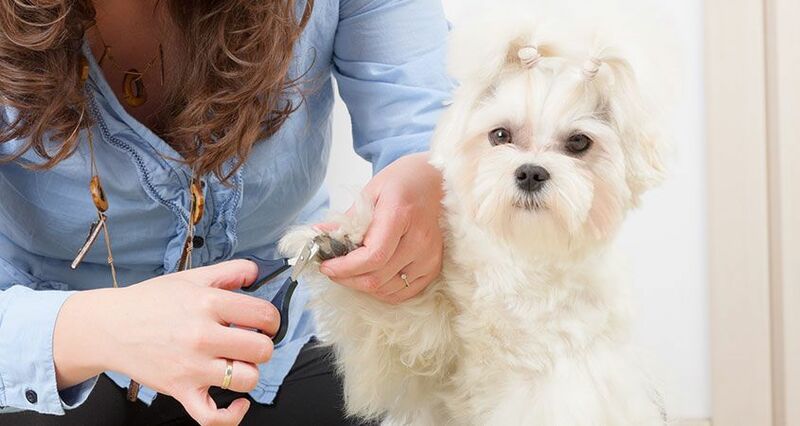 When looking for a date and time to request an appointment, keep in mind Grooming services like Pet clips and Tidy ups book 1.5 weeks in advance, baths and nails we can fit in much sooner. -If you are unable to find a date and time that works for you. Please give us a call at (306)975-0305 to be put on our cancellation wait list. If we are unable to get to the phone please leave a message and we will get back to you by the end of the day. -If you do not see the appointment form to request an appointment, this most likely means our booking service is in a maintenance cycle. This is typically planned for late Sunday evenings and will be back up early Monday morning. Sorry for any inconvenience. Please give us a call and leave a voicemail with a good time to call you back at.